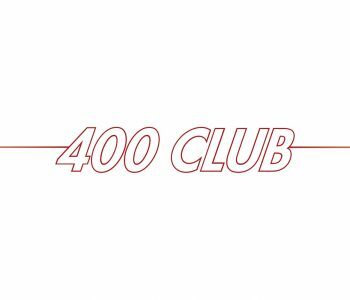 The third quarter draw for the Cards Trust 400 Club will take place in the bar after the Dulwich game on September 15th. First number drawn £100, 2nd number £75 and the 3rd £50. If you or your family or friends wish to join or you want to increase your holdings, application forms can be downloaded from the Club Website or can be collected from the shop. Cards Trust Away Travel August 2018. Monday 13th August. Wealdstone Coach will depart at 5:30 pm please arrive by 5:15 latest. Saturday 18th August Hemel Hempstead Coach will depart 12:30pm please arrive by 12.15 latest. Bank Holiday Monday 27th August Eastbourne Coach will depart 11:30 please arrive by 11.15 latest. 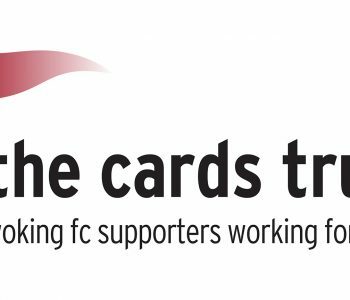 The Cards Trust will run the coaches in August as a trial to see if there is support for Away Travel and whether we have volunteers to marshal and run the coaches efficiently and safely. Travellers need to be aware that organised football coaches have strict guidelines especially regarding alcohol consumption breaking these guidelines invalidates our insurance and can produce police action. The Trust would be grateful for your co operation and thank you for your support for Woking FC. Season tickets will again be available for collection on Thursday 2nd August from 5.00pm to 7.00pm and on Friday 3rd August from 4.00pm to 6.00pm. Season Tickets will be available for collection from the Cards Trust office tomorrow from 12.30 pm – 2.45pm and again from 5.00 to 5.30. They will also be available for collection next Thursday and Friday, times to be announced. Season Tickets will be in the post this weekend to those who made the arrangement. All Woking fans are warmly invited to a special Fans’ Forum in the club bar to meet Alan Dowson and hear about some of his thoughts as he assembles a new squad. The evening will include updates on Cards Trust developments and volunteering opportunities for the season ahead. There will be plenty of opportunity for Q and A, the bar will be open and we are looking forward to a good night as we gear up for the new campaign. The first number drawn will win £100, the second £75 and the third £50. It’s not too late to sign up or to buy more numbers, download the application form for more information. The March 2018 issue of The Cards Trust Newsletter is now available to download & read. You have to be iniit to winit! Do you want to join if not already a member or want more units (they only cost £12) you can download from the Trust website or pick up forms from the shop.